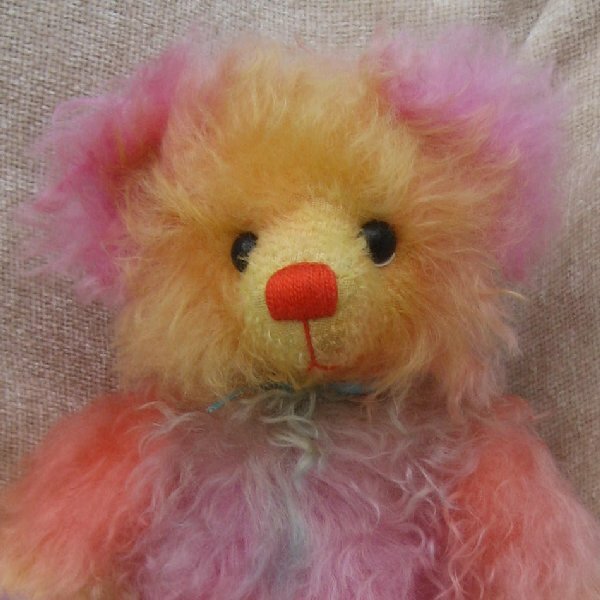 Please Note: Pickle is a collectors bear and not suitable for children. 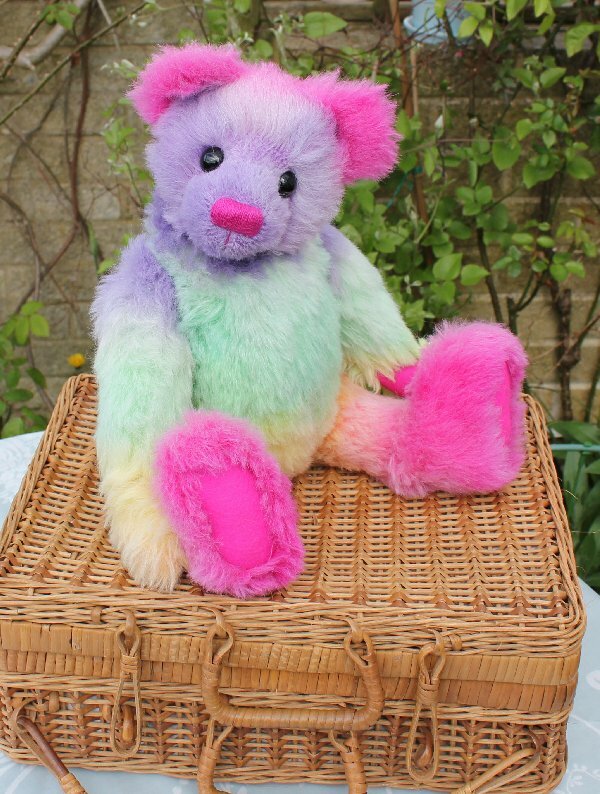 Pickle is a hand made 5 jointed traditional Bear. foot and paw pads, blue glass eyes and a blue hand embroidered perle cotton nose. 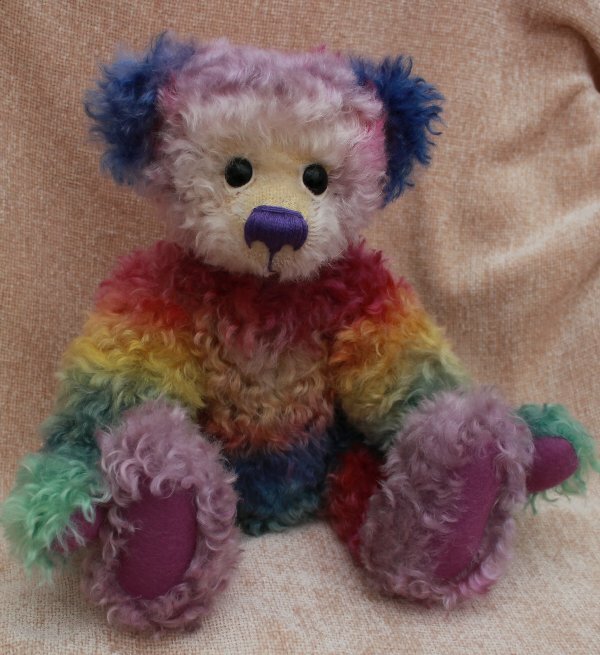 Adriana is a hand made 5 jointed traditional Bear. Please Note: Maple syrup is a collectors bear and not suitable for children. Maple syrup is a hand made 5 jointed traditional Bear. foot and paw pads, black glass eyes and a purple hand embroidered nose. 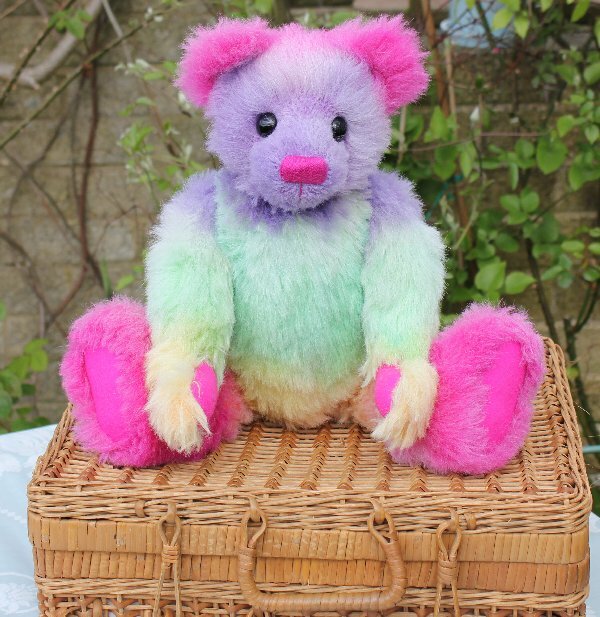 Please Note: Wisteria is a collectors bear and not suitable for children. 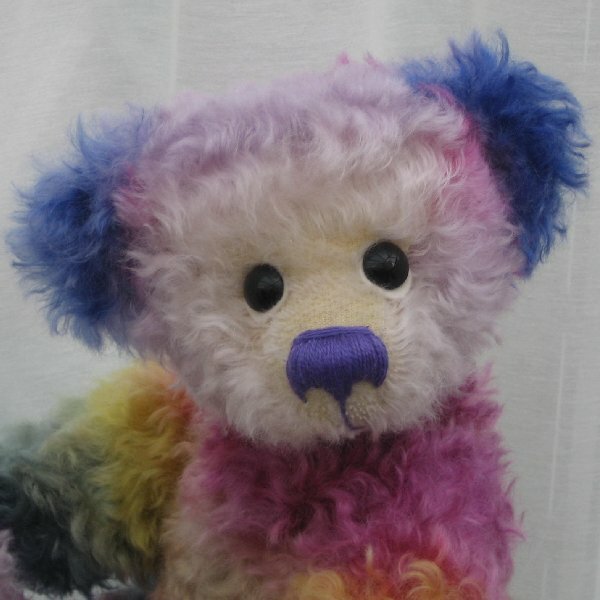 Wisteria is a hand made 5 jointed traditional Bear. foot and paw pads, black glass eyes and a matching cerise pink hand embroidered nose.